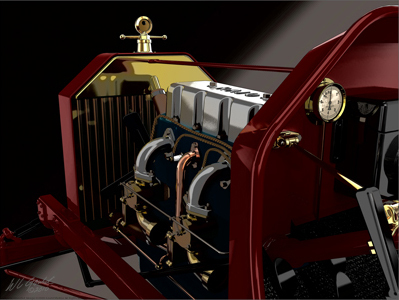 Starting with a basic $450 Model T, for an additional $1000 or so in speed equipment and some hard work you could soon be racing on the popular "Dirt Track" circuit, perhaps even winning back your investment! 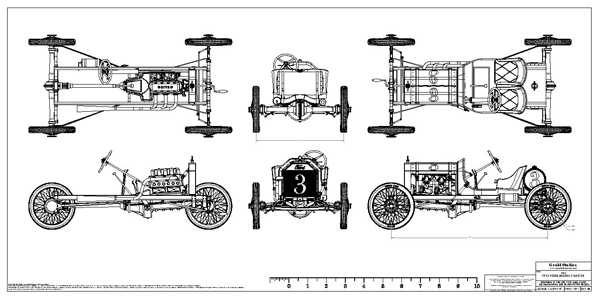 Typically the chassis was lowered four inches, called "underslinging", the wheelbase was slightly extended, and an additional front cross member riveted to move the motor back eight inches for better weight distribution. 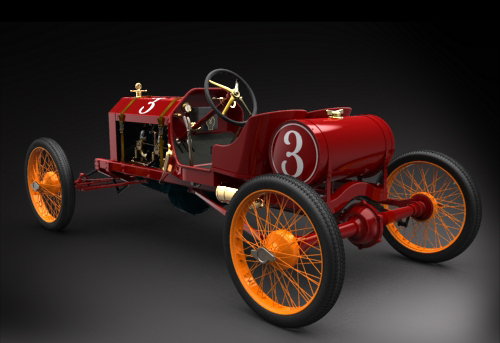 Wire wheels were almost mandatory, but the mechanical brakes on the rear wheels only still led to some "wild rides"! 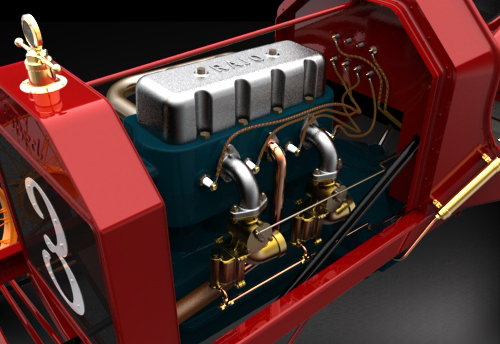 The basic 40 HP motor was "hopped up" to over 70 HP with a Roof or RAJO Overhead Valve Conversion (OHV), a hot cam, balanced crankshaft with pressure oiling, and side-draft or up-draft carburetors. 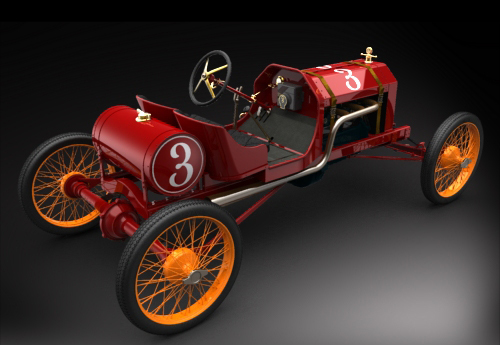 These little cars were very competitive, often exceeding eighty miles/hour. To quote an advertisement from the period: "Able to achieve BREATHTAKING performance of 15 to 50 MPH in LESS than two city blocks!" 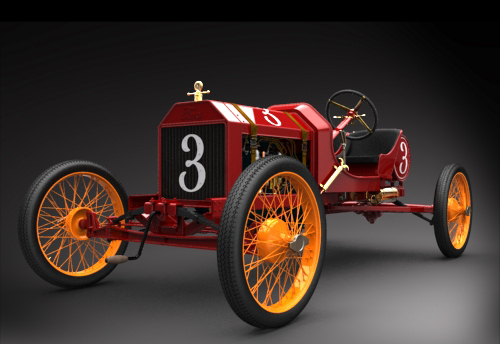 The true "Muscle Car" of 1913! 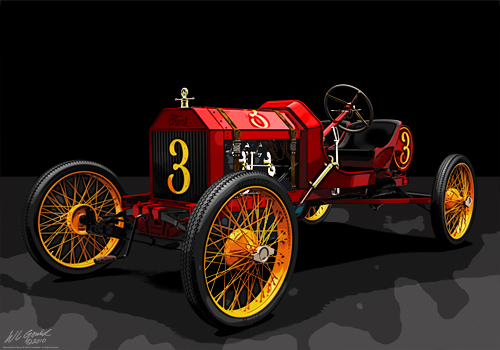 1913 Model T "Dirt Track Racer"